Microsoft and Migesa offer the benefits of implementing System Center 2012 in your organization; obtain unified management for your local environments from service providers and Microsoft Azure which, by definition, supports the incorporation of Microsoft Cloud OS; System Center 2012 offers a set of new and improved features. Application oriented: Facilitates the workload between Windows Server and Microsoft Azure, delivers predictable business line application services and provides detailed information and diagnostics on the .NET and Java applications. Business: Better administration for Windows Server environments in which it runs its critical applications. It integrates the experience and knowledge needed to optimize performance and availability with workloads typical of Microsoft, such as Exchange, SQL and SharePoint. Simple and profitable: Simplify your implementation with service templates and runbooks for the System Center components. Incorporate functionality to your existing administration tools through web service interfaces and integration packages. Reliable and profitable automation that represents an impulse for operational efficiency; it also allows managing virtual environments in the cloud and is totally compatible with other platforms such as Windows Server. Provides proper supervision of Windows Server and a solid compatibility of multiplatform supervision; it also helps maintain a proper status of infrastructure in the physical and virtual cloud. Use service templates for rapid provisioning of applications and workloads; implement a scalable infrastructure with multiple virtual machines. System Center ensures the service level agreements of business line applications and provides detailed information on these. Users working from any place and device! Keep software updated and define safety policies; offer your users access to their applications from the device of their choice. Take your Configuration Manager local solution to the cloud by integrating Windows Intune. Provides deep visibility of the health, performance and availability of your data center environments across applications, operating systems, hypervisors and hardware through a single interface. It also allows you to monitor your IT services and the behavior of operational problems. 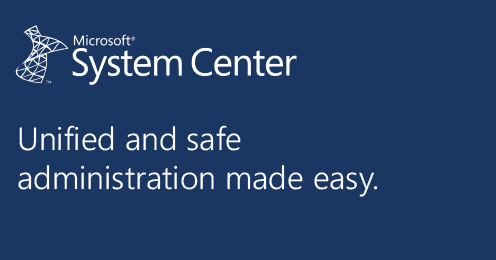 With System Center 2012 R2 Configuration Manager, manage your PCs, servers and keep software updated, setting the necessary configuration, safety policies and supervision, while users access their favorite applications from the device of their choice. Protection infrastructure for System Center that offers a unique solution for protection against malware, identification and solution of vulnerabilities, while giving visibility to systems without compliance.